The Interquartz Voyager 9281N offers all you need from a hotel telephone and particularly benefits from a large printable area to best display the hotel’s details. It comes with a built in modem port and ten year warranty. 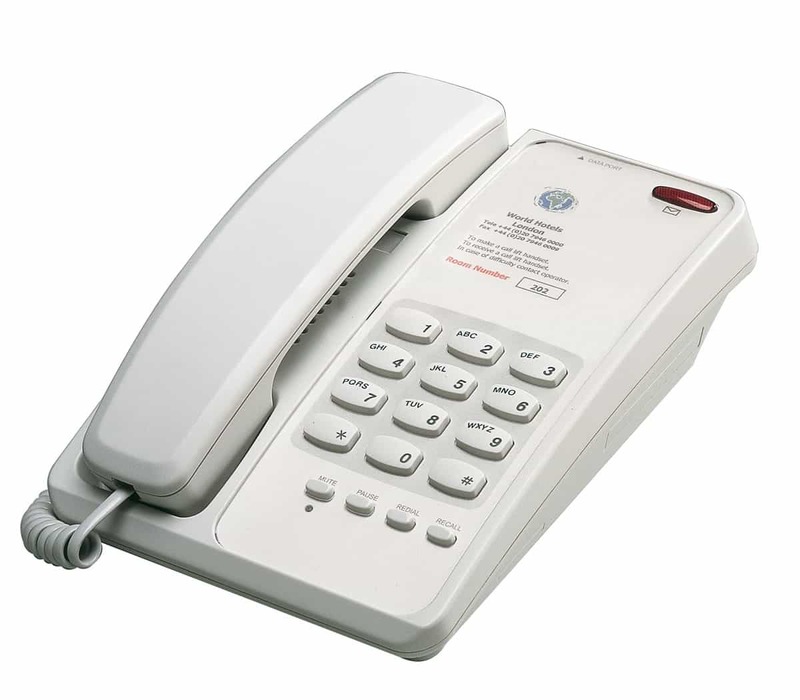 A zero-button of the Voyager Standard, ideal as a secondary guest room phone to complement one of the more highly featured models.